SoundGrid Rack for VENUE enables live sound engineers to run Waves plugins directly within Avid’s VENUE | S6L mixing console, with tactile control from the console's surface knobs and no need for a computer host or external network switch. 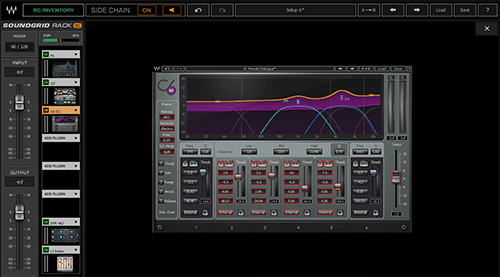 SoundGrid Rack is a plugin that runs within the VENUE S6L environment and loads up to 8 SoundGrid-compatible Waves plugins per instance. All standard VENUE plugin features apply, including Config and Show modes, delay compensation, snapshot automation, and detailed tactile control of plugin parameters. You can run up to 128 mono or 64 stereo SoundGrid Racks within the S6L, each containing up to 8 plugins. 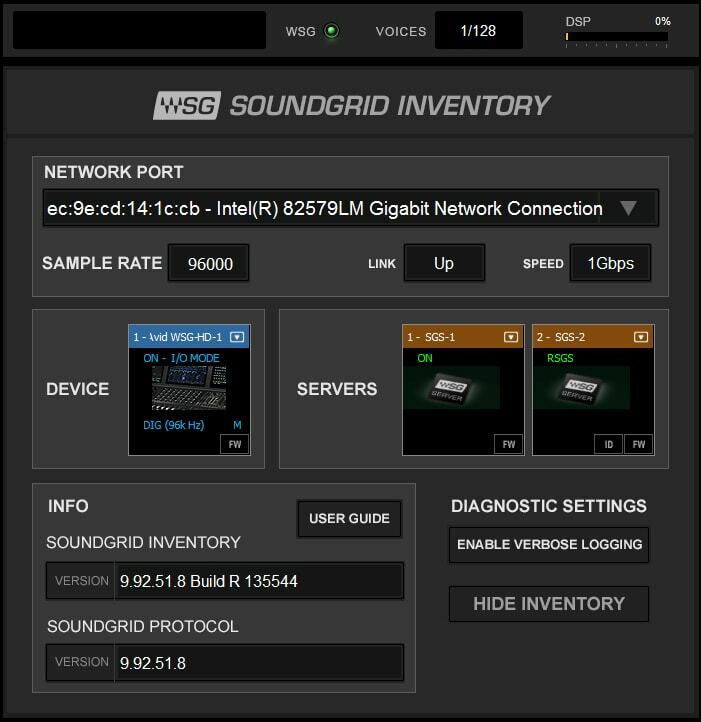 The included SoundGrid Inventory component (also available as a separate download from Waves Central) manages your SoundGrid network and allows you to monitor its status. 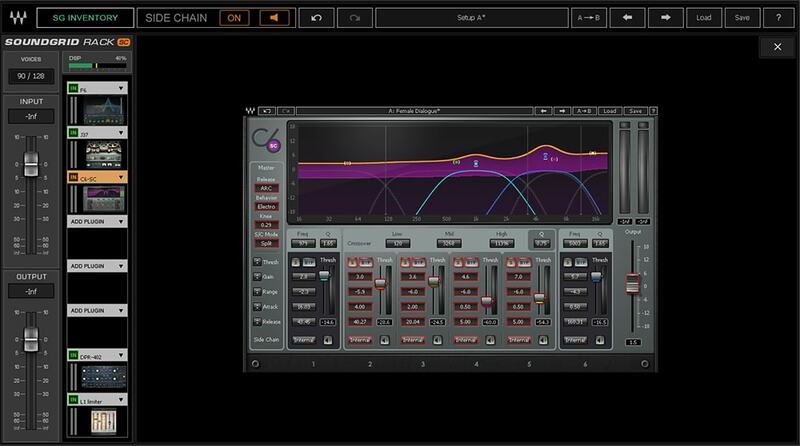 To complete the system, you’ll also need the WSG-HD Waves SoundGrid Option Card (purchased separately from Avid), VENUE software version 5.7 or later, a Waves SoundGrid server to process the plugins, and Waves plugin licenses of your choice. 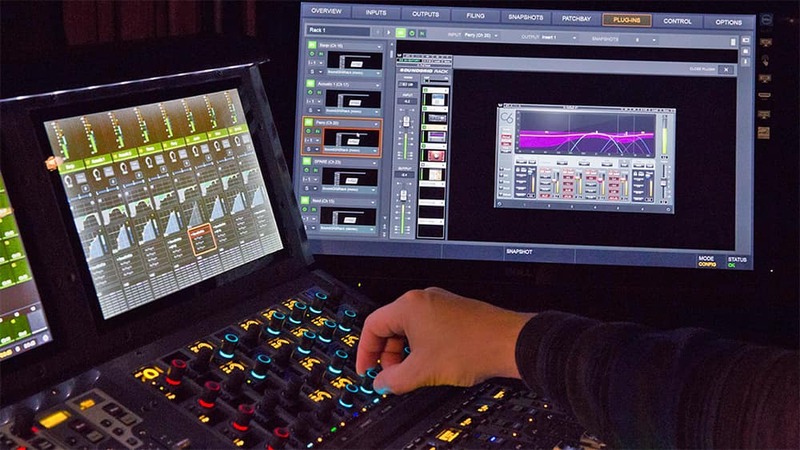 With the WSG-HD card installed in the console’s engine, you can connect up to two Waves SoundGrid servers (primary and redundant) directly to the S6L system, with no additional interface, network switch or computer host necessary: a focused, simplified, powerful setup to meet your most grueling live sound demands. DiGiGrid IOS and DLS Servers have not been tested and do not support this system. Important: To assure best performance, it is crucial that the redundant server is the same model and revision as the main server. If running two VENUE S6L consoles, each system will need its own WSG-HD card, SoundGrid Rack for VENUE, and SoundGrid server (or two if running with redundancy).